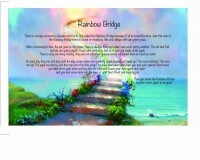 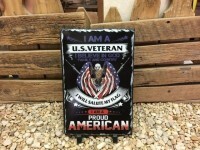 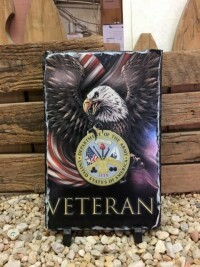 Create your own custom full color photo Slate Plaque with your favorite picture, text. 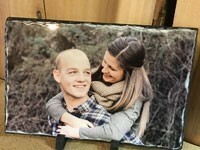 Personalized photo slate Plaques make a great gift, player gift, award or remembrance. 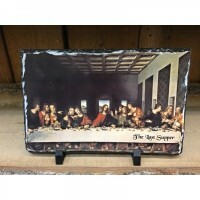 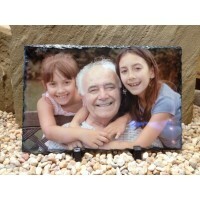 Natural slate is shaped and then specially coated to accept our full color printing of your photos, text and graphics. 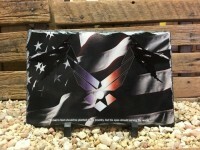 These hefty plaques make an incredible first impression. 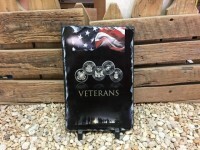 Slate Plaques are full color, personalized plaques with a beautiful finish that can include their name, photo, team's name, anniversary date etc.